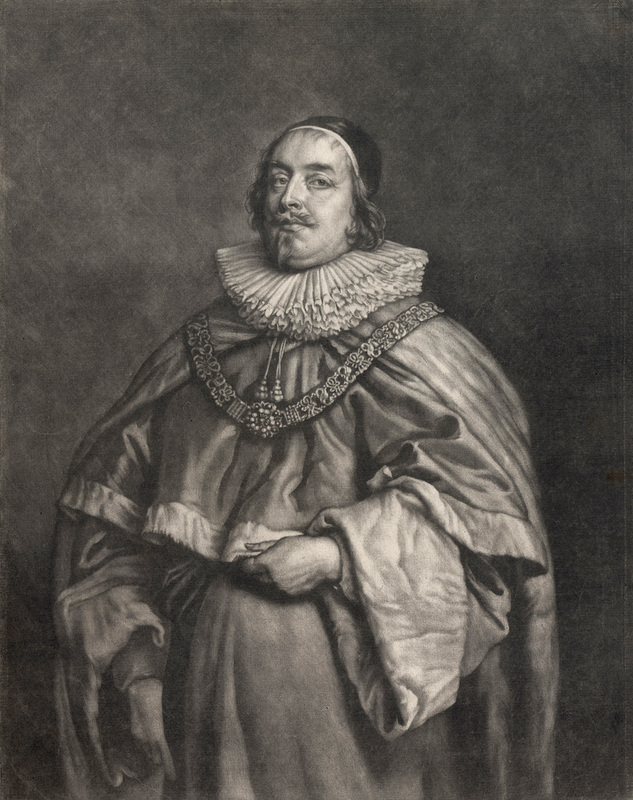 “Sir Edward Littleton”, either 1640–1641 (the National Portrait Gallery attributes the dates of the print as 1640–1641 [see https://www.npg.org.uk/collections/search/portrait/mw131703], but these dates lie well before the dates that this printmaker was active according to the British Museum) or c.1680–1704 (BM attrib. ), mezzotint after the painting by Anthony van Dyck (1599–1641), printed and produced by John King (“at the Globe in the Poultrey” as inscribed on the plate) in London. 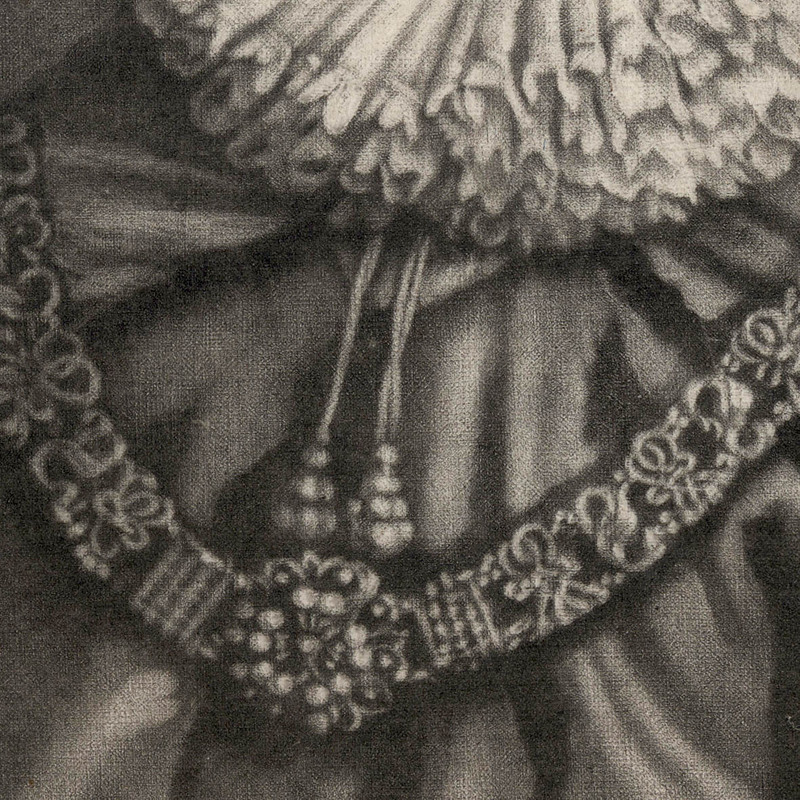 Mezzotint on laid paper trimmed to the image borderline and backed with a support sheet. State i (of iii?) 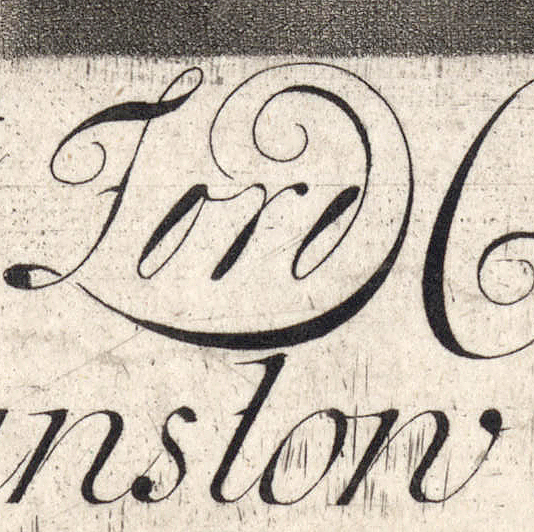 before the erasure of publication details of John King and the substitution of Robert Williams as publisher. Condition: a very rare, first state, strong impression with very little sign of wear to the plate and the guidelines for the lettering are still visible. The sheet is in excellent condition (i.e. there are no tears, holes, folds, stains or foxing), trimmed on the image borderline and laid upon a support sheet of archival (millennium quality) washi paper. I am selling this rare high quality impression for AU$192 (currently US$144.81/EUR121.02/GBP107.03 at the time of posting this listing) including postage and handling to anywhere in the world. If you are interested in purchasing this mezzotint of a grand man (with more than a touch of self-importance I think) who was a politician, judge, the Chief Justice of the Common Pleas and Lord Keeper of the Great Seal, please contact me (oz_jim@printsandprinciples.com) and I will send you a PayPal invoice to make the payment easy. Mezzotints are inevitably rich in velvety dark tones. This is because the process begins with a roughened plate that would only print black at the initial stage and requires careful smoothing of the pitted plate surface with a tool called a burnisher to create light tones when the plate is printed. 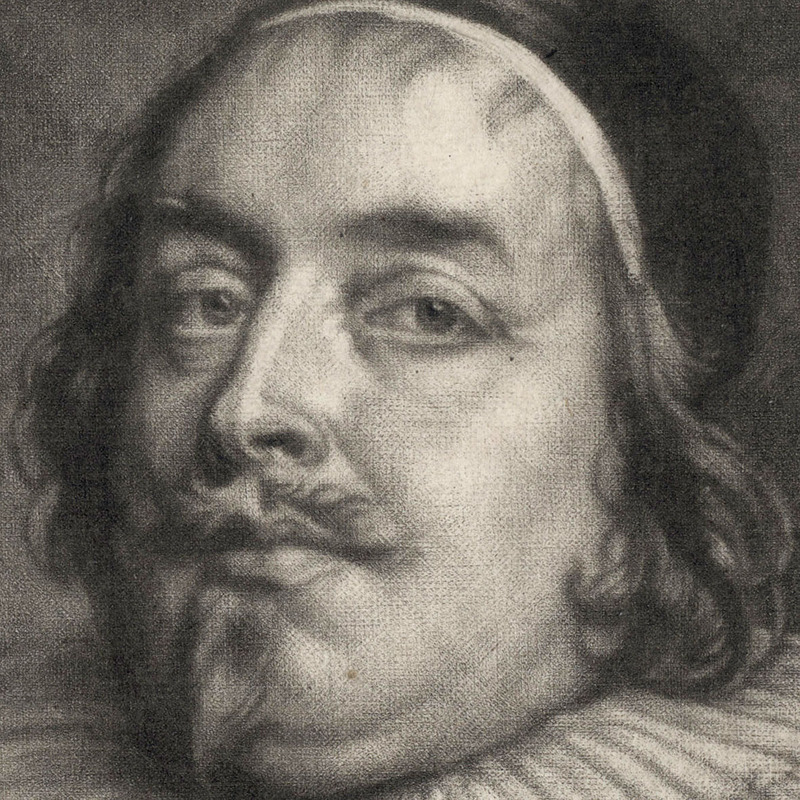 Even in the lightest areas of this portrait, for instance, traces of the original pitting of the plate are still visible. 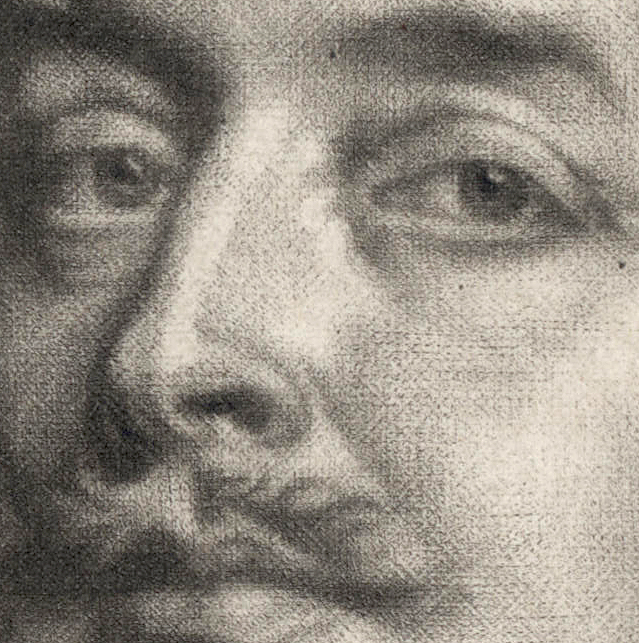 From a personal standpoint, this velvety richness makes mezzotints tactilely appealing. In fact, I have to restrain myself from touching the very delicate surface that would be damaged from such exploration. 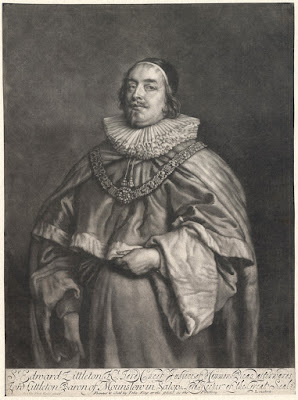 Mindful that mezzotints have tactile appeal, Williams’ choice of mezzotint to render this portrait of a grand gentleman seems very appropriate to me. 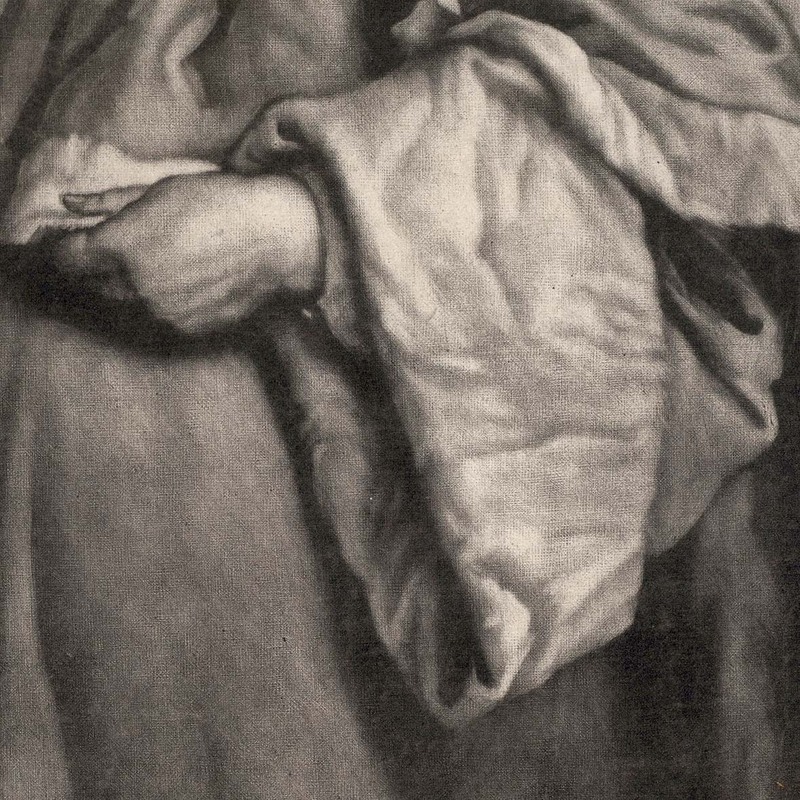 The reason has nothing to do with me putting my big paws on the chap’s face, but rather that the mezzotint surface seems to simulate the lush “feel” of his gown’s fabric. Indeed the pictorial and physical equivalence is so appealing that my instinct—the primal beast within—wants to reach out and to touch the print, even if the urge is constrained. 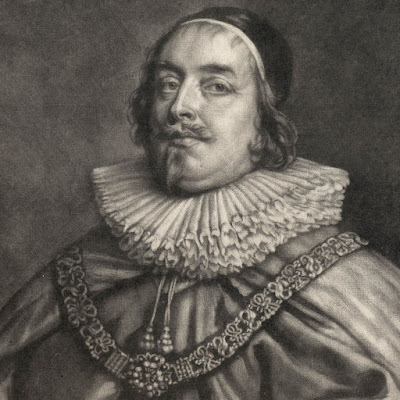 For those interested in the sitter for this portrait, Edward Littleton (aka Lyttleton of Mounslow) (1589–1645), he was the Chief Justice of North Wales; see http://www.wikiwand.com/en/Edward_Littleton,_1st_Baron_Lyttelton.